You’re a marketer who uses site analytics for performance benchmarking and tracking. You’re collecting a lot of data. This data can be segmented, tested, and items that return a positive result can be aggregated. However, many marketers have yet to leverage their data to get as much out of it as they need. At the same time, the devices we use, and the frequency at which consumers and businesses access digital content to make decisions is expanding and growing. Six themes emerged from SES that defined the steps to take towards achieving success in digital as we head into 2014: defining and filling consumer journey gaps, enhancing content code for search engines, prioritizing mobile, remarketing, watching the competition, and empowering marketing stakeholders to think collectively in one direction. 1. Use Data to Close Your Marketing Gaps. The online journey is not a linear process. Defining “what all the customer wants from our brand” is a foundational element to providing purposeful content. Those companies that understand the buying journey see a 15% increase in closing their conversions. They use data to drive these decisions. Improving conversion rates is about finding gaps in visitor goal completions on your site. Start with the users who do convert; segment out their data. Define and understand what happened to create a basic attribution model. Sometimes it’s as simple as finding a correlation between a single marketing effort and a lift in conversions. Define what worked for these consumers that didn’t for others to understand where and why a drop-off may occur. No matter the size of your business, mapping marketing efforts to consumer actions is crucial to improving the quantity of successful consumer journeys. 2. Adopt the Next Generation of SEO. Ensure everything published online is understood and indexed. As the semantic variations we search become more diverse, search engines need additional signals to curate the most accurate results for an individual query. Using micro data, like Facebook’s Open Graph and Schema.org, we can help search engines further translate what your website is about. Google’s new search algorithm, Hummingbird 3.0, is a query translator that interprets search entries more thoroughly. Keep your search strategy up to date by involving a micro data step in your SEO process. 3. Be Honest About Your Mobile Presence. As consumption on mobile devices and tablets grow, studies prove that a bad experience with a company’s mobile site can damage a developing relationship. A mobile site doesn’t need to be as robust as the regular site, but it has to improve your customer relationship, not harm it. If a user has a poor mobile experience, most will never return and will never become customers. Evaluate where mobile fits into the consumer journey and the necessary steps towards structuring the content effectively to meet consumer needs. 4. Remarket to Your Visitors. It’s easy for companies to analyze how users are interacting with their online offerings. If a customer spends time on your site and visits several pages, “remarket” them with an ad that offers additional relevant content. For example, a white paper tailored to their demonstrated interest. This avoids an impression of spam and is a smart way to build the credibility that’s crucial in B2B sales. How you remarket can be calibrated to support specific business goals of your website: leads, meetings, sales, etc. 5. Watch Your Competition. Do you study your competitor’s sites regularly for strategies, tactics, and verbiage? Do you get their e-mails and follow them on Twitter? Build this into the marketing team task list, with a concrete reporting method. 6. Empower Your Marketing Team. Ask people to have a meaningful role in your marketing approach. Develop a team of marketers who can motivate your decision makers to embrace new approaches, test and learn from the results. Now is the time to adapt quickly and tap into these best practices without letting financial concerns paralyze you. This overall approach is how you speed the learning curve and grow business with this fast-evolving vehicle. 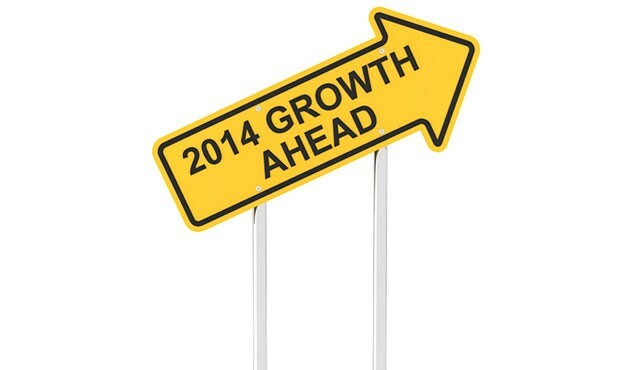 This is a complete list of tactics worthy of thought-starting your 2014 approach to digital. They apply to B2B as much as B2C. Start with your audience data. Work learnings into site changes and cater to the search engines while doing so. Make mobile and remarketing an always-on effort. Observe competitive leaders and empower your marketing team to think collectively. Contact Symmetri Marketing Group to assist in this endeavor. We stay ahead of the digital curve so that we can help our clients stay there.